Fred Fucci is an experienced arbitrator and transactional lawyer. 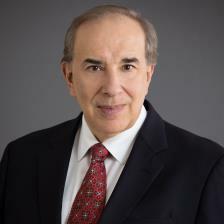 As principal of Fucci Law & ADR, PLLC, he acts as a neutral arbitrator in commercial disputes and offers advice to clients on energy and corporate transactions. He is a member of the panels of major arbitral institutions including the American Arbitration Association (AAA), International Centre for Dispute Resolution (ICDR), International Institute for Conflict Prevention and Resolution (CPR), Hong Kong International Arbitration Centre (HKIAC), Vienna International Arbitration Centre (VIAC) and others. He is a fellow of the Chartered Institute of Arbitrators. He is also a member of the United States Council for International Business (US member of the International Chamber of Commerce – ICC) and the London Court of International Arbitration (LCIA) North American Users Council. He is admitted to practice law in New York and New Jersey. He is also qualified as a solicitor in England & Wales and is a member of the Paris bar (avocat au barreau de Paris). Fred has served as an arbitrator in numerous domestic and international commercial cases including as sole arbitrator in AAA, ICDR and ICC cases and co-arbitrator in AAA, ICDR, LCIA, ICC, CAM (Milan Arbitral Chamber) and ad hoc cases. The disputes heard include energy matters (power generation, oil & gas, midstream), infrastructure projects (high-speed rail, water distribution), M&A (breach of rep & warranty, post-closing adjustments), joint ventures, supply of goods and commodities, service agreements and financing and securities questions. formation and capitalization of companies and corporate governance. Fred’s infrastructure/project finance experience is in energy (electricity, oil and gas), telecommunications and ports. It encompasses organization of project consortia and companies, project development agreements, offtake (power purchase agreements - PPAs), land-use, concessions, construction, operations and maintenance (O&M), fuel supply. His focus has been on both big ticket projects (utility scale) and on small scale cogeneration projects (combined heat and power) or solar PPAs for on-site supply of electric and thermal energy (distributed generation) for industrial and commercial users. He is experienced in contract drafting and negotiation of equipment supply agreements, design build and engineering, procurement and construction (EPC) contracts. A related area of expertise includes energy performance contracting, where energy service companies install energy efficiency measures and equipment, the capital cost of which is covered by energy savings achieved.